Having spent time learning my lessons at Columbia Business School, I have come to appreciate the important role a teacher has in getting students to learn. Bruce Craven, Adjunct Associate Professor of Business and the Program Director of the Advanced Management Program at Executive Education division of Columbia Business School, is the type of professor and thinker that many students wish to have. As an early pioneer of teaching leadership through fiction, Craven has combined the highly entertaining and thoughtful world of Game of Thrones with Joseph Campbell’s theories on the power of myth to create a highly readable and thought-provoking book on leadership. “Win or Die: Leadership Secrets from Game of Thrones” is certain to inspire many young leaders. 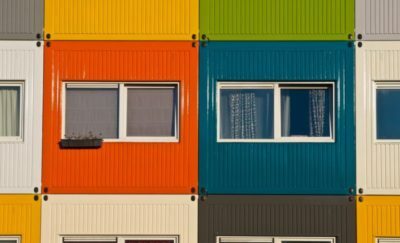 Setting bold goals, striving for change, taking risks – these are some of the traits that the boldest leaders share, and as the publisher of BoldBusiness.com, they are traits that I have come to appreciate as essential to any successful business leader. But these were lessons I gleaned from my time in the classroom and in my decades at the helm of various companies. Never once have I had to worry about advancing armies of White Walkers or assassination at the hands of my comrades manning the Wall. 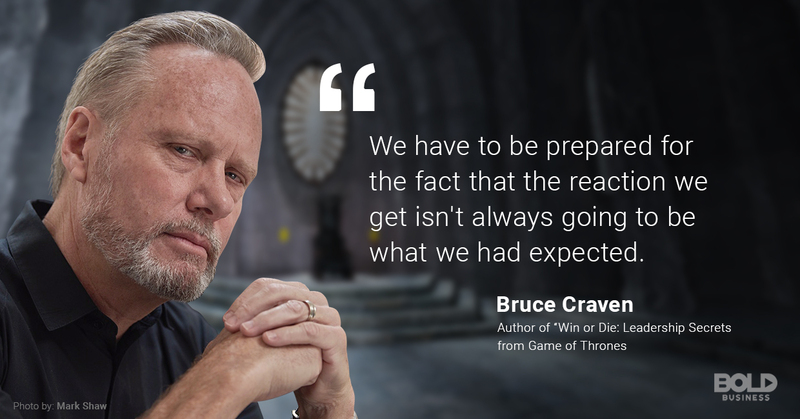 Obviously, Craven hasn’t had to worry over such things either, but with Win or Die, he has dug deep and analyzed the successes–and failures–of Jon Snow, Daenerys Targaryen and the rest. Bruce has written a highly entertaining examination of leadership methods. I only wish that he was teaching his class during my time at Columbia University. 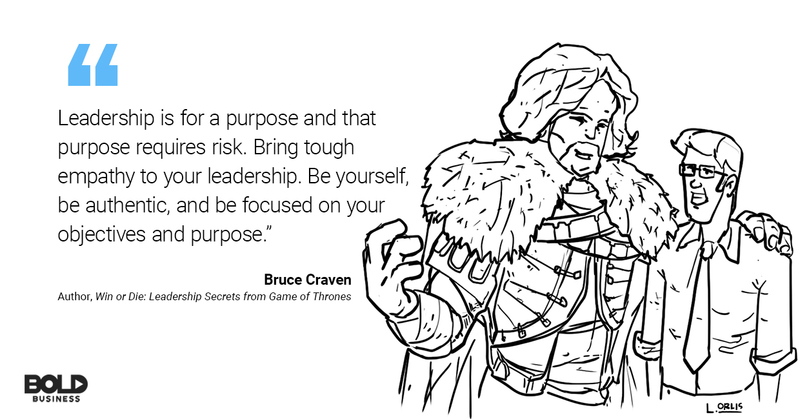 There bold leadership lessons from Game of Thrones are outlined in Bruce Craven’s Win or Die. “Considering how she went from a pawn controlled by others to a person adept at making astute observations and wise leadership decisions, I’d seriously consider Sansa Stark,” says Craven, responding to my question as to who among the Game of Thrones characters he would want to be the CEO of his imaginary company. “It is important that we, as leaders, search for clarity on the values of our allies and our competitors,” says Craven in his book, and he reinforces that during our phone conversation, mentioning how Ned’s faults as a communicator manifest in his son, Jon Snow (spoiler alert: nephew, actually). In his rise up the ranks of the Night’s Watch, Snow takes numerous risks, and nearly every step of the way strives to act ethically and responsibly while attempting to change the world for the better. But Snow fails to effectively communicate to his Night’s Watch brethren the reasoning behind inviting the Wildlings south of the Wall, which, though certainly bold leadership, results in Snow’s assassination. In this formula, “D” is for dissatisfaction with how things are, “V” represents a vision for the future, “P” is for process to reach that vision, and “C” is for cost of change. Says Craven in Win or Die: “If the product of the first three factors is greater than the cost (both economic and psychological) of change, then change becomes possible. Yet if any one of those three factors is absent, the product will be too low to overcome the resistance.” In other words, if the cost of change is greater than the product of D, V and P, well, apparently you get stabbed to death by your friends. According to Craven, Jon stumbles on the Dissatisfaction step. He has the Vision – get the Wildlings away from the White Walkers so they don’t get killed and turned into zombies that can kill us! And he has a Process – get them on our side of the Wall… But he fails at persuading some of his team on being dissatisfied with what would happen if the White Walkers killed the Wildlings… which is what would happen if they didn’t change their position. Both Ned and Snow incorporate bold leadership traits in their management style. Yet both make mistakes that result in some pretty harsh consequences. Ultimately, they ignore DVP > C and ended up doomed. According to Bruce Craven, if Jon Snow just followed a simple formula, he wouldn’t have been assassinated. Daenerys may be immune to fire and have dragons flitting about that consider her their mother, but she’s a bold leader at heart, bucking the status quo and out to change society for the better. And her successes are evident in the cities she liberates from the chains of slavery and the army of ardent followers she amasses. Bucking the status quo. Taking risks. That’s Dany, and that’s also Lieutenant General “Lori” Reynolds, USMC, who is only the third female to become a three-star Marine Corps general. Lt. Gen. Reynolds’ rise up the ranks has certainly seen risks but effected some change in an institution ready for diversity. Worth noting, though: Lt. Gen. Reynolds did not have dragons incinerate anyone along the way. There are plenty of lessons to be learned from “Win or Die: Leadership Secrets from Game of Thrones”. The diminutive Tyrion Lannister is prone to drink and excess, but his keen mind and kind heart see him through some very hairy situations. Ultimately, though, the current Hand of the Queen to Daenerys is a risk taker – he flees Westeros to join the Mother of Dragons as her advisor, despite their respective families having a bit of an… ugly history together (Tyrion’s brother murdered her insane father). This makes his leadership style very bold indeed. “We must get unstuck and believe we deserve further success,” says Craven of the lesson in Tyrion’s story thread. Tyrion takes risks, finding unlikely opportunities in the process, and hones all aspects of his intelligence to lead boldly. 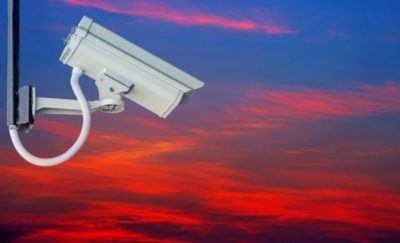 These traits apply to bold leaders like Vincent Jackson, Andrea Mallard, Bob Dutkowsky… really, they apply to nearly everyone who’s found success as a manager. The biggest takeaway from “Win or Die: Leadership Secrets from Game of Thrones” is that fiction can give us valuable insight into leadership. I pose to Craven a hypothetical: his good friend Jon Snow, now the King of the Seven Kingdoms, asks him to join him in King’s Landing and be his Hand of the King. Does he take the job? “The first thing I would do is ask Jon Snow, ‘What do you expect me to bring to the table and what is expected of me?’,” says Craven, acknowledging that Snow’s expectations might not perfectly align with his capabilities. Clearly, this is a testament to the fact that sometimes leadership is about saying, “I’m not the right person I think you really need” – which is smart in the world of business, and especially smart in the world of Westeros, as it could keep you from getting poisoned or beheaded! Though coming from a very violent – and thankfully, very fictional – book, there are important leadership lessons to be gleaned from Win or Die. Learning leadership lessons can be very dry for some. 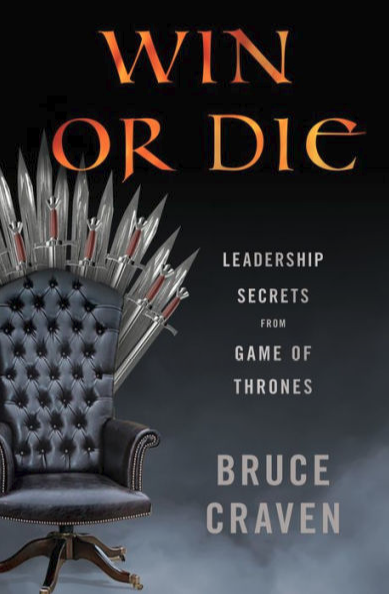 But with Win or Die, Bruce Craven has combined fiction, mythology and theory to help train future leaders in a way that they will find modern, relatable and engaging. 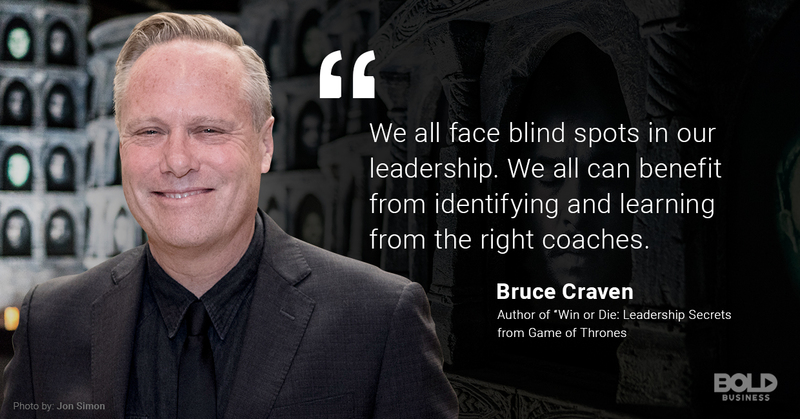 To order a copy of Bruce Craven’s “Win or Die: Leadership Secrets from Game of Thrones”, click the image below!